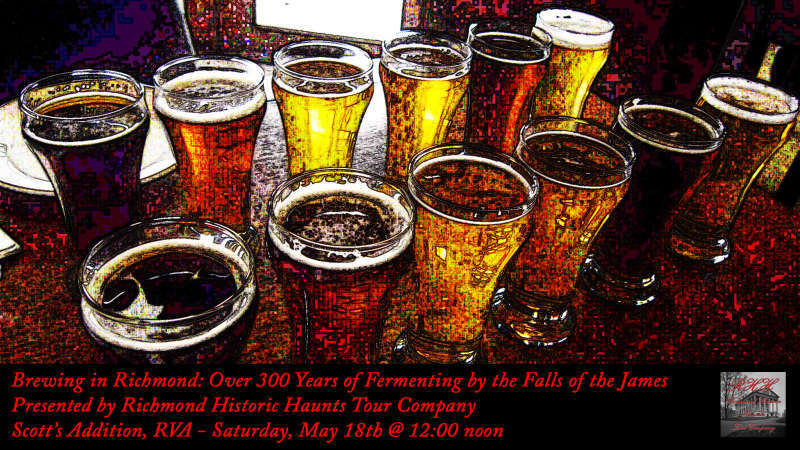 Join Richmond Historic Haunts for Brewing in Richmond: Over 300 Years of Fermenting by the Falls of the James. 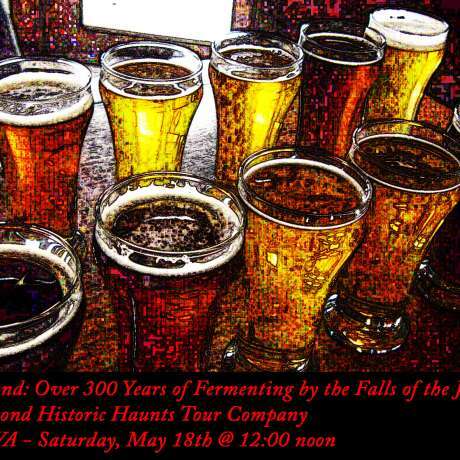 Richmond's brewing scene today is just the latest chapter of our city's history with fermented beverages. During this afternoon walk through Scott's Addition we will talk up Richmond's boozy history over some modern RVA brews with stops at Bingo Beer Co, Buskey Cider & Three Notch'd RVA Collab House. Tickets include one drink per stop and some light bites as we kick things off at Bingo. This first run will be limited to only 15 tickets, so don't wait to get yours or they might be gone! Tickets for this 21 and over event are $50 (plus a small service fee) and include the previously noted drinks, food, and gratuities. Guests are welcome to purchase extra drinks and food (where available) at their discretion. All guests should partake and enjoy responsibly.